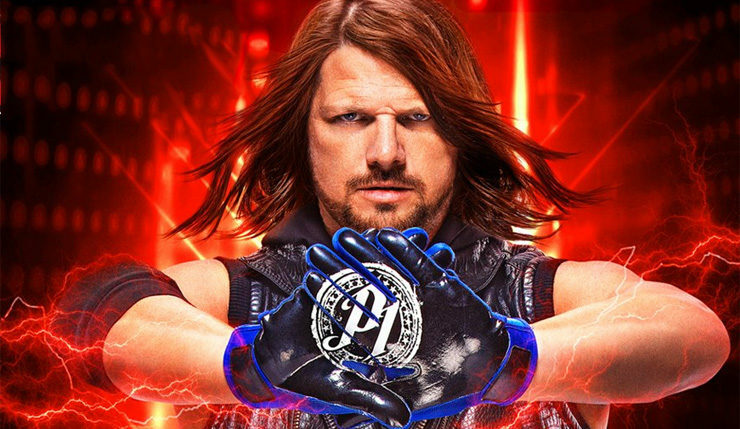 We all knew it was coming, but WWE 2K19 has officially been announced, and this time around the game will be fronted by “The Phenomenal One,” AJ Styles. No new gameplay details have been revealed, but AJ did announce the Million-Dollar Challenge, which is pretty much exactly what it sounds like. Anybody who buys WWE 2K19 can enter for a chance to challenge AJ Styles (in the game, thankfully) and if you win, you get a cool million bucks. You can get more details on the contest, right here. WWE 2K19 Deluxe Edition: Upgrade to the Deluxe Edition for Early Access and play four days early! The Deluxe Edition, available in both physical and digital varieties at participating retailers, includes the Season Pass and Collector’s Edition digital content. WWE 2K19 Collector’s Edition: Upgrade to the Collector’s Edition and play four days early! The Collector’s Edition includes the WWE 2K19 Deluxe Edition video game, premium packaging, access to the Season Pass and Collector’s Edition bonus digital content, exclusive and rare physical collectibles, and Limited Edition WWE SuperCard content. No word yet on what the Deluxe or Collector’s Editions will cost, or what kind of “exclusive and rare physical collectibles” you’ll be get with the Collector’s version. WWE 2K19 450 splashes onto PC, Xbox One, and PS4 (no Switch version this year). Those who buy the Deluxe or Collector’s Editions can play 4 days early on October 5.